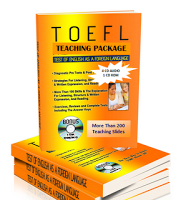 Covers the topics students need to know for the Cambridge ESOL exams (FCE, CAE and CPE). Oxford Learner's Pocket Grammar is a genuinely pocket-sized reference book that is ideal for revision. It's easy for students to take with them - on the bus, on the train, to school. If they have a few minutes to spare they can revise a grammar topic they need to know for an exam. It's easy to use, with each grammar topic spread over 2 pages. It's easy to understand, with grammar explanations using language students know. Examples show how to use the grammar correctly, and other examples show the common mistakes students need to avoid. At intermediate level and above, students want to know how they can sound more natural and fluent. So we've included a tip for every grammar topic that helps them do exactly that. Cross-referencing between the grammar topics helps students build up a complete picture of the grammar areas they want to focus on.